In this segment we must each and every actor in the film everyone has done perfect job Young tiger NTR has given his best he has done splendid job especially in emotional scenes and climax his performance is outstanding his body language and dialogue delivery suited very well for his role . Pooja Hegde has done decent job her performance is good she looks stunning in the film and eye feast to audience . Jagapathi babu is one of the added asset to the film his performance is terrific the combination scenes between NTR and Jagapathi babu Came out very well . Naga Babu is good.Sunil has got good role in the film and he has done perfect justification to it .Eesha Rebba gets a decent role she has given her best . Supriya Pathak, shathru, Brahmaji and rest of the cast has done as per the requirements . 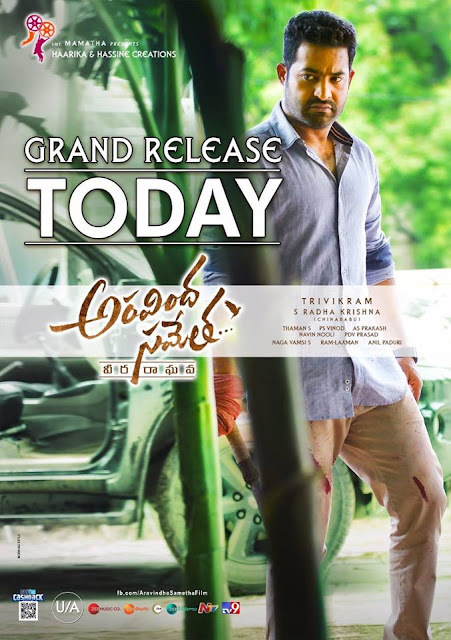 In this segment at first we must appreciate producers for their Production values coming to director Trivikram we can say he is back with a bang and delivered a blockbuster film to telugu audience his dialogues and Narration is good .Thaman has given decent music specially background score is good it has elevated many scenes . P.S Vinod cinematography is simply super . Artwork is good . Ram- Laxman composed good fight moments . Editing is okay .